The test automation process is considered as a blessing for the IT industry. The rising demand for test automation across diverse industry verticals is one of the key factors estimated to encourage the growth of the overall market in the next few years. The tool is being used in the IT industry to reduce time, optimize test process, and develop efficiency. Innovations and technological advancements are further predicted to accelerate the growth of the global test automation market in the next few years. Among the key applications of test automation, mobile testing and development of mobile applications are considered to gain traction in the next few years. In addition, the rising awareness among consumers regarding the deploying test automation in the IT sector is likely to drive the global market. Thus, test automation is considered as an effective and cost efficient option to detect defects in the system. Among the key regional segments, the North America market for test automation is anticipated to lead in the next few years. The high growth of this region can be credited to the rising base of QA units in several industrial sectors. In addition, the increasing investments in this region for development of improved test automation tools is predicted to propel the growth of the test automation market in North America. Thus, the leading players in the market are focusing on research development activities in order to cater to the growing needs of test automation across several industries worldwide. The emergence of test automation has been the biggest boon to the IT sector. This software development tool has thoroughly helped the sector in optimizing test processes, reducing time, and bringing in efficiency. Functional testing, web services testing, compatibility testing, load testing, security testing, mobile testing, and QA process design among others. The growing expenditure on development of the IT sector for improving their software services, QA, and other applications are expected to nurture the growth of the global test automation market. 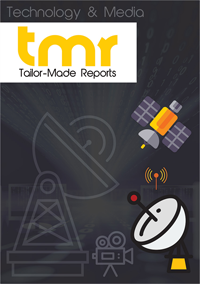 The research report states that the rapid development of mobile applications is expected propel the growth of the global market in the recent years. Uptake of mobile applications in communications, multimedia travel, and utilities is expected to fuel the rise of this market in the near future. Analysts expect that the usage of cloud applications is also expected to improve the revenue earnings for the global test automation market. The growing awareness about deploying test automation amongst the IT sector has been a definite positive influence on the overall market. Despite the steady market drivers, the global test automation market is likely to face a few challenges such as high operating costs and high initial investments. However, emergence of newer and better technologies such as cloud computing services, big data analytics, and data virtualizations are expected to offer several lucrative opportunities to the global market. Mobile Labs Introduced its deviceConnect™ Hosted Cloud, a solution for QA professionals and developers to efficiently manage their mobile testing lab. This will allow organizations to pick a well-suited mobile device cloud that caters to their need. The deviceConnect Hosted Cloud and deviceConnect On-premises Cloud and are private cloud-based mobile application testing platforms. The primary aim of these products is to ensure simple management of multiple devices for the purpose of enterprise application testing. The only difference between the two is who is managing these devices and where are they being hosted. In terms of geography, the global test automation market is fragmented into Europe, North America, Asia Pacific, Latin America, and the Middle East and Africa. Of these, North America is projected to lead the global market in the coming years due to a growing base of QA units in various organizations in a wide range of industrial verticals. Analysts expect that functional testing segment will dominate the region in the near future. Additionally, the rising investments in upgrading the current automation testing tools is also projected to drive the regional market’s growth. North America will also aid the progress of security testing segment during the forecast period. The high adoption of mobile applications and Software as a Service (SaaS) on cloud will be the primary growth drivers for test automation in North America. Analysts expect that Asia Pacific will also offer lucrative growth opportunities to the global test automation market in the near future as the IT sector witness tremendous growth. The growing investments of foreign firms in the IT sector of various developing countries of Asia Pacific are expected to propel the regional market’s growth.